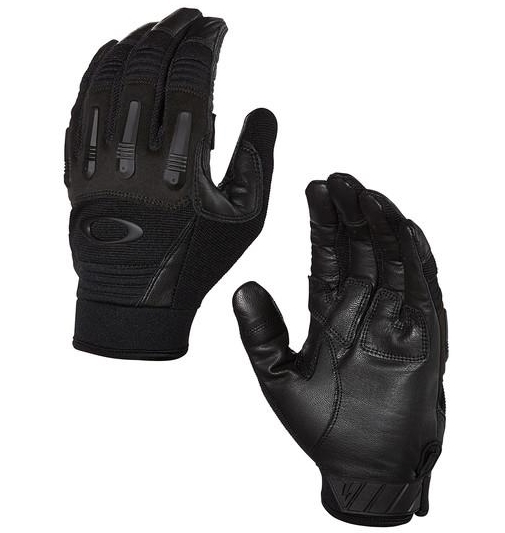 Tactical gloves have a wide range of uses in most outdoor activities from paintball and airsoft to hiking and climbing. Their main role is to protect your hands from the elements and other objects that may be not-so-friendly to your skin and nails. 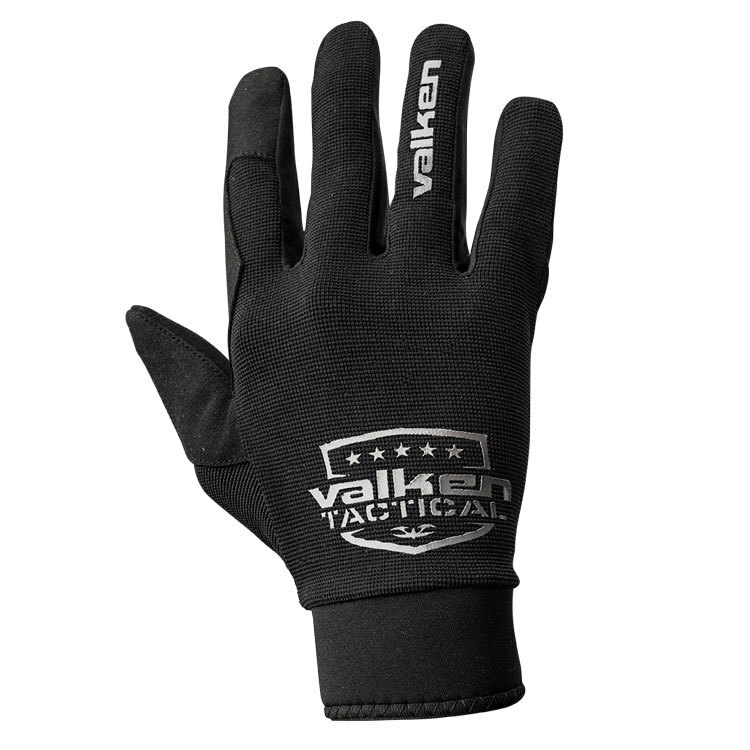 The cool thing about these gloves is that they’re durable, affordable, and easy to keep around. Plus, you’ll look way cooler than everyone else who’s not wearing them! So, if you’re an outdoor weekend enthusiast who doesn’t want to show up on Monday at the office with bruised or scratched hands, you’d better check out our list of the best affordable tactical gloves. 2 Why Do I Need Tactical Gloves? These are specially designed to protect the back of your hand against flying projectiles (BBs or paintball projectiles) due to the plastic cover. While it does look a bit crude in design, the cover is flexible so you can bend the fingers and pull the trigger without hindrance. Still, you’ll need a gun with a large trigger guard! The rest of the glove is designed with breathable padded mesh fabric, that keeps your hands cool and improves airflow to reduce sweating to a minimum. The palm has some extra padding that absorbs the shock form strong recoil or any other situations. The gloves are secured around the wrist with a Velcro strap that allows for a snug fit even if the glove is a bit bigger. The half finger design makes these armored gloves a better fit for activities that require dexterity such as when you’re pulling a trigger. The back of the hand is protected with a plastic but flexible cover and the top section of the glove is covered in breathable mesh. Moreover, the palm area is padded, so you’ll be protected against abrasions (you never know when you’ll need to crawl on uneven terrain). Finally, the wrist has an elastic fit, but there’s also a Velcro strap that allows the user to adjust the closure as needed. I love the fact that, even though they pack some serious padding on the palm, the back of the hand of these gloves is slim and provides a perfect fit. This is due to the stretch span material, which is also protective (although not as strong as a plastic cover). The real magic happens in the palm area! Here, you’ll find a synthetic leather material improved with silicone grip on the index finger (so the trigger won’t slip or for touch-sensitive surfaces like your phone’s screen) and slide pads the center of the palm. This way, your grip will be more secure and, once you grab onto something, it won’t slip out unless you let it go! Finally, the gloves are fitted with Velcro around the writs, for a tight and secure closure. 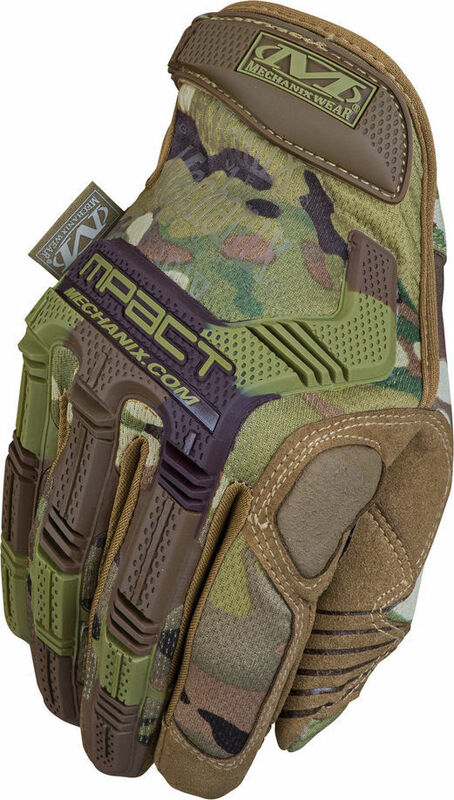 The M-PACT gloves from MECHANIX pack quite the set of features, but they’re also a bit pricier than previous models. 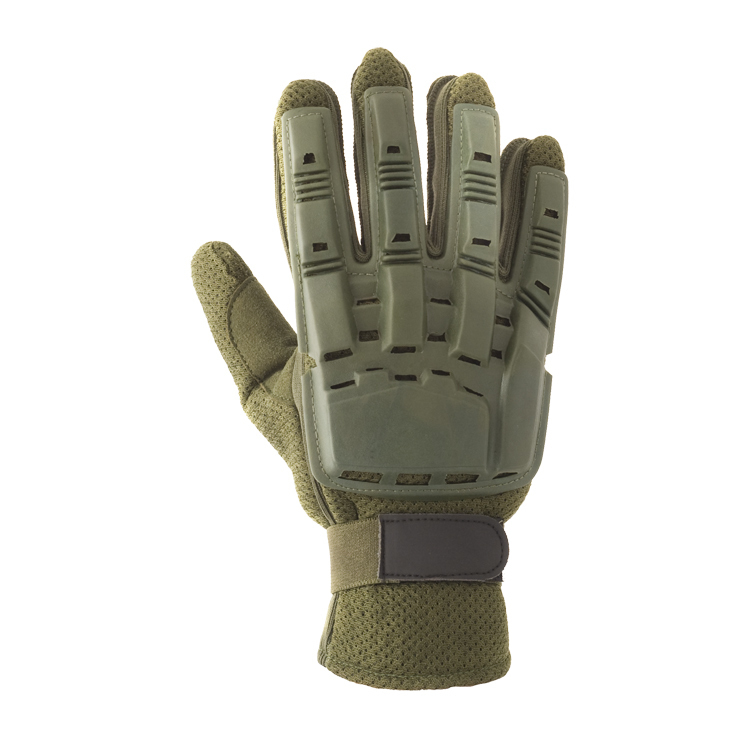 On the back of the hand, the gloves are designed with impact-absorbing Thermal Plastic Rubber (TPR), which is an upgrade from the low-cost plastic cover on other tactical gloves. The rubber is flexible and doesn’t hinder your movements regardless of the level of dexterity required. In addition, the index finger is not covered, so you can easily access any trigger guard size. Also, the tips for index and thumb feature a dual-layer construction for increased protection and improved grip. To improve breathability, the back of the hand is equipped with breathable mesh fabric while the palm is made with XRD padding that absorbs most vibrations and impact. Finally, the form-fitting TrekDry makes them extra comfortable and maintains the skin dry. The closure is fitted with a Velcro strap, for a perfect and secure fit, and they also have a nylon pull loop, so they can be hanged on a carabiner to your tactical vest or other pieces of equipment. The ZULU is another tactical glove design that’s a bit high on the price range, but the features they bring make it totally worth it! First, they fit perfectly to your hands (there’s no bulkiness) due to the elastic fabric at the top. You also get a Kevlar Hardshell reinforced knuckle cover that allows you to lean on the knuckles when looking for cover without worrying about abrasions. They also have rubberized finger protectors and, due to the Articulated Joints, you can move the fingers without even feeling like you’re wearing gloves! On the palm side, the index and thumb fingers have extra protection and better gripping, there’s double stitched padding on the palm and silicon grip pads to increase protection and avoid things slipping out of your hands. Overall, the gloves are durable, breathable, and comfortable once you manage to find the right fit. Designed with a flexible material and reinforced where it matters (knuckles, pads, and thumb and index fingers) the Foliage gloves are perfect for all sorts of outdoor fun. The back of the hand is designed with a flexible material, that lets the skin breathe and doesn’t hinder fingers’ movement. Also, the areas that are most exposed to wear and tear are reinforced with stitching, to improve durability. The gloves are equipped with hard knuckles and the palm has extra padding that absorb vibrations and protect against abrasions. 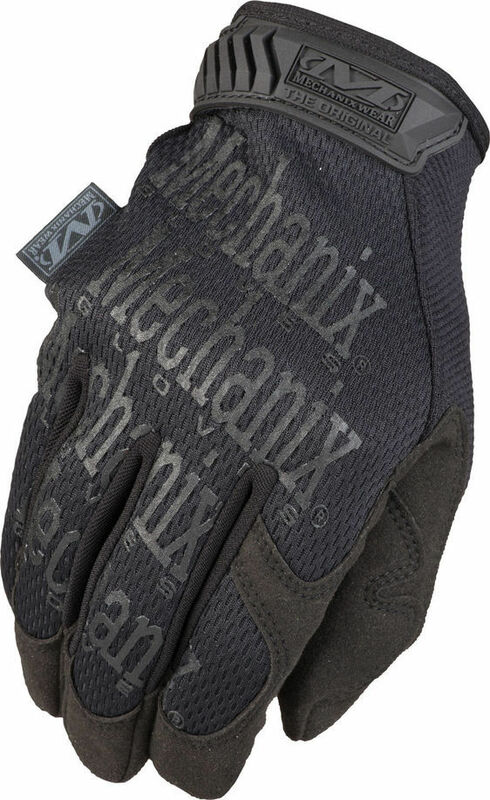 MECHANIX is famous for their tactical gloves and this is one of their most popular designs and not just for outdoor activities. 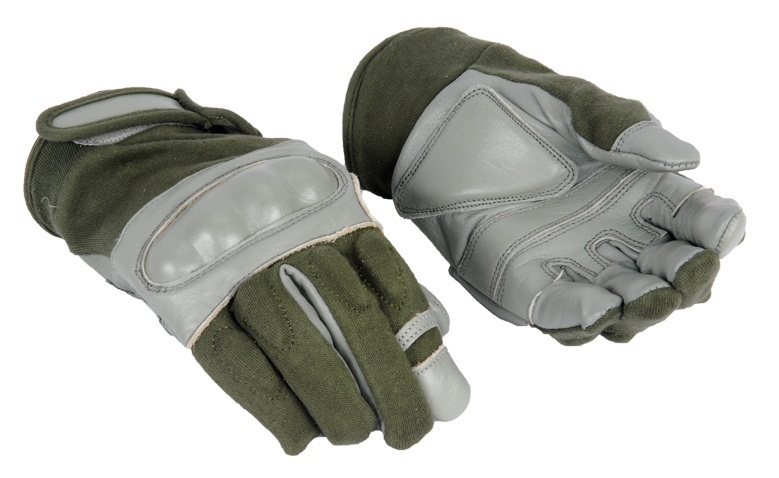 These gloves are so durable and easy to wear that you’ll see them in auto shops, worn by hunters, and even in the military and law enforcement agencies! The gloves are made from a thin layer (0.8 mm) of synthetic leather that protects the skin of your hands while freeing your fingers to move as needed (you have full dexterity while wearing them). Not to mention that you can still control your phone while wearing them! The wrist strap is perfect for securing that perfect fit, but if they do start to get loose, you have these nylon pull loops you can use to pull them back up. The loops are also effective when you want to hang these to your tactical belt, so they’ll be handy when you need them. Besides being gorgeous and providing users with a comfortable fit, the Condor gloves are also durable and a pleasure to wear! 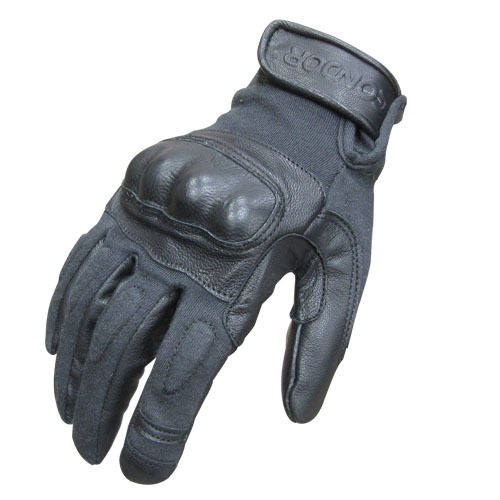 First, they are designed with durable double reinforced leather that keeps the skin of your palm and fingers safe. Second, the padded knuckles provide an extra layer of protection and the NOMEX material protects the skin against flames or hot flashes (you never know when things can go wrong!). Besides all these, the gloves are perfect for improving the grip and can be used with guns that have a rather tight trigger guard. Overall, they are a fantastic choice, whether you’re on the battle field or you’re relaxing doing some work in the backyard! These gloves are a bit on the more expensive side of the spectrum, but they do provide a strong level of security and protection. The hardened knuckles and padded leather palms help with gripping and dealing with combat conditions, while the finger articulations help with the dexterity. The fit is done with a Velcro strap and the cuff is equipped with a contour cut that lets you pull the gloves up (in case they feel loose). Moreover, the thumb and forefinger are reinforced to help with improving trigger action and controls manipulation (you can even use your phone with the gloves!). Designed with Suede-like padding on the palm and knuckles, the gloves will fit on your hands like a second skin. The material feels nice against the skin which makes them comfortable, and the knuckle reinforcement and articulations provide the necessary protection without hindering your moves. The fit is secured with an adjustable Velcro strap and TPR wrist closure and the fingertips are specially designed to perfectly grip the trigger (or any controls). Why Do I Need Tactical Gloves? 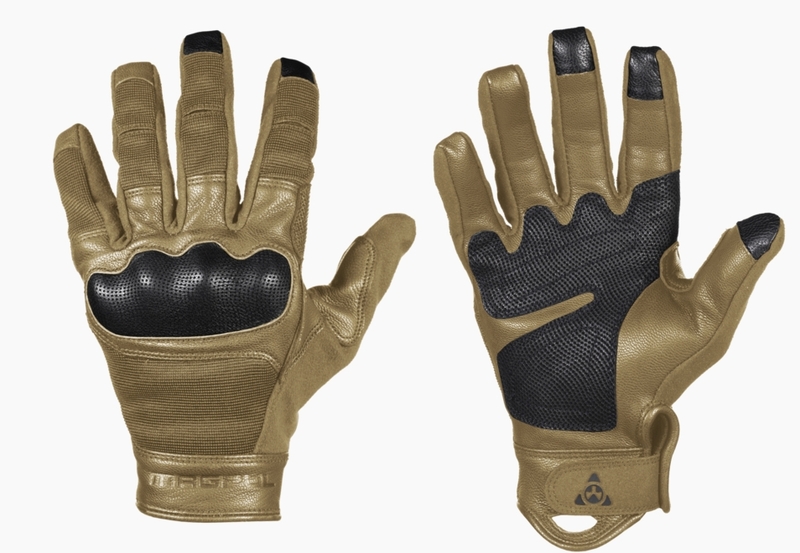 When they were first introduced, tactical gloves were designed for the military and law enforcement agencies. Their main purpose was to provide a better grip for the weapons they were using, but they also proved effective in protecting the wearer’s hands against scrapes, puncture wounds, dog bites, and other similar situations. Nowadays tactical gloves remain important for the law enforcement segment, but they are quite popular in the civilian world as well. With all the war games and outdoor sports, people use them for airsoft, paintball, hiking, motorcycle riding, and more. You can also find them in auto shops and any other location that requires working with metallic parts. 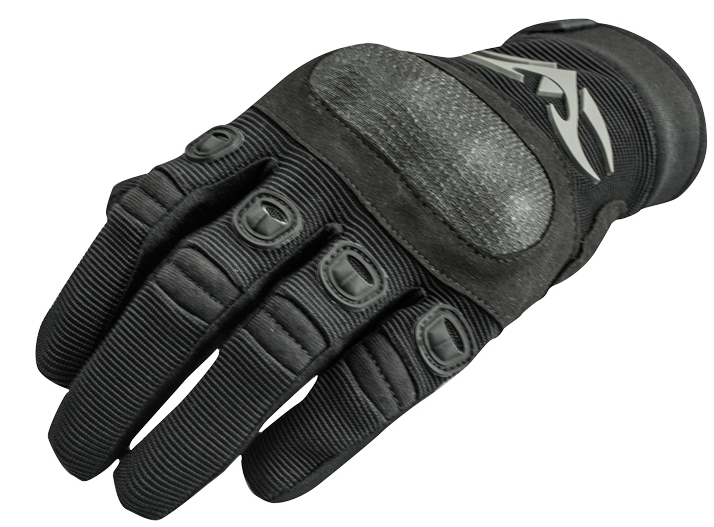 So, you need these gloves for protection (first reason) and because they look damn cool on your hands (all the other reasons)! As you can see from the list above, there are lots of products out there and there are prices for any budget. Still, before you start imagining how cool you’ll look with your new gloves, let’s first go through the features you should consider. While some designs are a bit bulkier (especially the ones with a plastic cover on the back of the hand), it’s important to find the right size to avoid any hindrance when moving the fingers. Usually, each design comes with a size chart, but if this is not the case, use the size from your regular gloves. It’s also important to find designs that secure around the wrist with a strap (Velcro or otherwise). These will stay put regardless of how much you’re gesturing! The difference stands in the materials used and reinforcements applied. 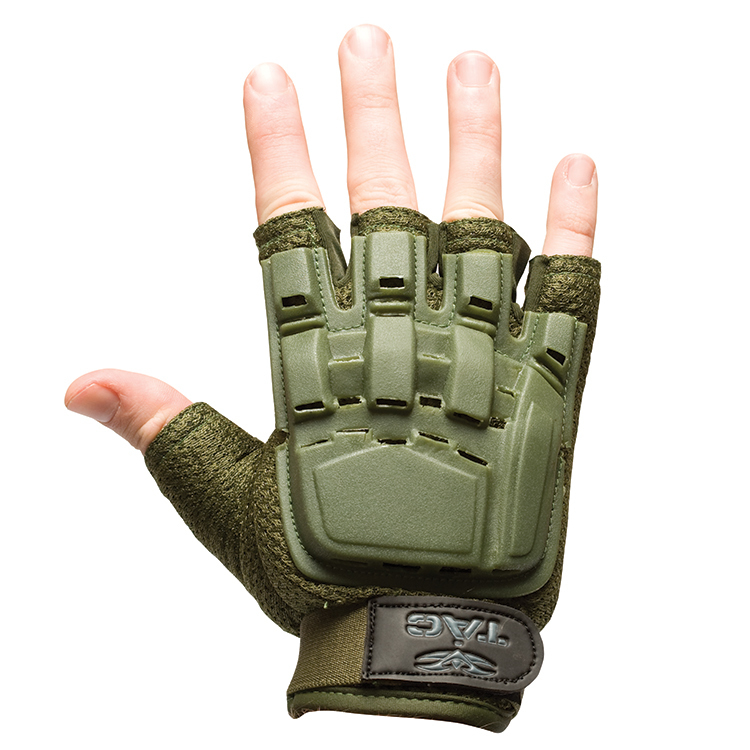 For instance, if you need gloves for airsoft or paintball, it’s best to choose a design with a hardened cover (plastic or rubber) on the back of the hands. These will protect you from rogue BBs or paintball projectiles that can leave quite a nasty bruise. If you need increased dexterity, find a design that molds to the shape of your hands and has flexible articulations. Overall, the gloves will provide some level of protection, but they are not designed to keep sharp objects away from your skin! Again, there are several factors to consider, such as price, materials, and overall usage. More expensive designs tend to come with better stitching, materials that hold up better in time, and better-reinforced areas. However, this doesn’t mean that a cheap pair will die on you at the very first use. If the stitching looks right and the materials aren’t low-quality, you can enjoy a low-cost pair for several months. It’s also important to consider how much you’ll be using them and for what. If you’re only using them a couple of times per year, they’ll be with you for a long time. On the other hand, if you need gloves on a daily basis, you may need to retire them quicker. If you ask me, tactical gloves should be in the tool kit of any outdoor enthusiast. They look cool, keep your hands warm, and provide protection against bruises, scratches or other possible harmful situations.